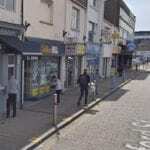 This page shows all the local information regarding the William Hill bookmakers on Oxford Street in Swansea. Here you can see where the shop is located as well as what time it opens and closes throughout the week. 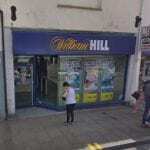 Below is a map listing showing the William Hill Swansea betting shop which is located on Oxford Street close to many other amenities and shops. 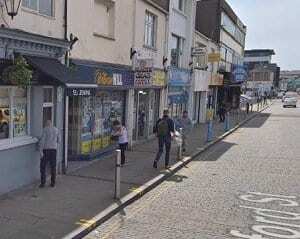 Below are some photos of the shop itself on the high street in Swansea so you can see where it is located close to many other shops. 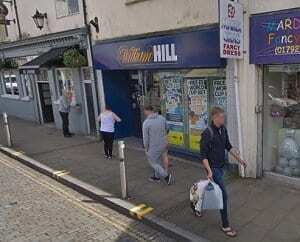 The William Hill brand can be found in many locations as well as being available online if you prefer to bet on your computer or smartphone. Here are the opening and closing times for the William Hill shop on Oxford Street in Swansea. As you can see it is open 7 days a week at various times so be sure to check before you make a visit. 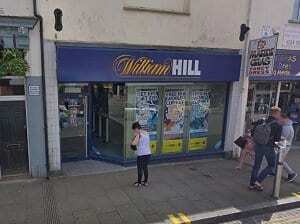 William Hill is a licensed Betting Shop located at 26 Oxford Street in SWANSEA SA1 3AQ. – Information from Find a Bookie. The license status: Grant by Swansea City and Borough Council as at 21/09/2010. Swansea is a coastal city and county, officially known as the City and County of Swansea (Welsh: Dinas a Sir Abertawe) in Wales. Swansea lies within the historic county boundaries of Glamorgan and the ancient Welsh commote of Gŵyr on the southwest coast. The county area includes Swansea Bay (Welsh: Bae Abertawe) and the Gower Peninsula. Swansea is the second largest city in Wales and the twenty-fifth largest city in the United Kingdom. According to its local council, the City and County of Swansea had a population of 241,300 in 2014. The last official census stated that the city, metropolitan and urban areas combined concluded to be a total of 462,000 in 2011; the second most populous local authority area in Wales after Cardiff. During the 19th-century industrial heyday, Swansea was a key centre of the copper industry, earning the nickname Copperopolis. Swansea City A.F.C. (founded 1912) is the city’s main football association team. Originally playing at the Vetch Field, they moved to the Liberty Stadium at the start of the 2005–2006 season, winning promotion to League One in their final year at their old stadium. The team presently play in the English Championship, after spending seven seasons in the Premier League. The Football Association of Wales had decided that for the Euro 2012 qualifying campaign, Wales would play all of their home ties at either the Cardiff City Stadium or the Liberty Stadium. Swansea is also the home to Swansea Rugby Football Club (Swansea RFC), a founder member of the Welsh Rugby Union and one of the most important teams in the early history of Welsh rugby union. Playing out of St Helens Rugby and Cricket Ground the club not only produced several of the greatest Welsh rugby superstars, including Billy Bancroft and Billy Trew, they also hosted national touring sides from Australia, South Africa and New Zealand. Many fans like to bet on these matches using William Hill betting shops or online using the website. St Helens Rugby and Cricket Ground is the home of Swansea RFC and Glamorgan County Cricket Club have previously played matches there. In this ground, Sir Garfield Sobers hit six sixes in one over; the first time this was achieved in a game of first-class cricket. The final ball landed on the ground past the Cricketers’ pub just outside the ground. It is also the home of the tallest floodlight stand in Europe.